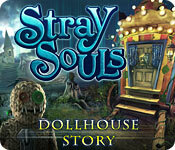 Stray Souls: Dollhouse Story is rated 4.5 out of 5 by 84. Rated 5 out of 5 by Kimmycoo from For Its Time, Perfect I really enjoyed this little gem. A great story line and great game play. I deff recommend this little gem for an afternoons play! Rated 5 out of 5 by thebubba from After 8 years...still a classic It's very hard to find a real creepy game these days. Why? The technology available to developers has created this urge to take game graphics to a new level of reality, except it doesn't work. The new games all look the same. Over saturated colors, detail overkill and so on. Forget mood. And that's where Dollhouse Story delivers. Moody, "crusty" art, a good story line and great game play. Today's developers could take a lesson from Stray Souls: Dollhouse Story. 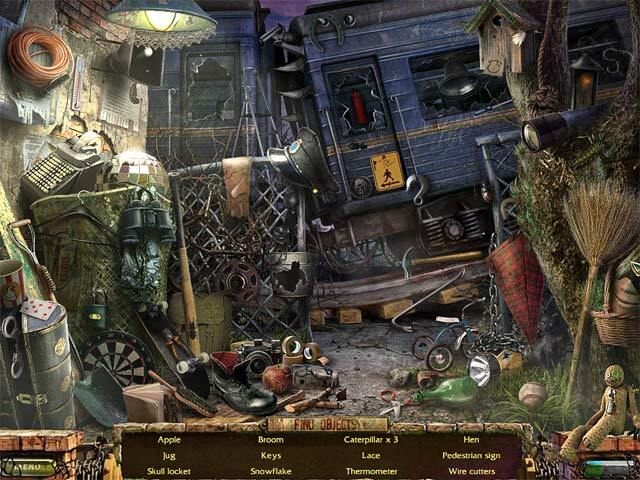 Rated 5 out of 5 by JulzCat from A Classic Of Hidden Object Horror Games! I've played this game at least a half a dozen times in the years since it was first released and it still stands the test of time! This was one of the first really cool HO horror games I remember playing and sharing with my children. You follow the story of a man with special powers and his wife's journey to save him. He has a really wild past with some surprises along the way! The graphics are a bit old school but still VERY eerie even by today's standards. Some of the objects were a big tough to see, but there's always the hint button for when you need it. There is a map, but it only shows you where you need to go, you'll have to go there manually. This game also has a diary, which I miss, because many of the newer games have given them up and for those of us with shoddy memories, the diaries always helped keep me up on what the story was about. This is also the first game I recall seeing "beyond objects", the objects that change back and forth between two separate things. There are 36 in this game and I don't think I've once ever found them all. It's kind of tricky because some rooms change and you have to find the objects before the room changes or there's no way of going back. Some of them are also VERY tough to see. If you're desperate to get them all, Big Fish has a walk-through with illustrations. Rated 5 out of 5 by Boomer1097 from Nice Older Game This game was fun to play. It has a compelling storyline and keeps you moving along. The graphics are nice. There are not many bells and whistles, but that didn't matter to me. The HOS are nice and there are a lot of them (which I liked). I'm glad I purchased this game. Rated 5 out of 5 by tbbquilts from A Nice Game Played entire game in casual mode with sound off. Enjoyed this little game. It does not have all the bells and whistles of other games, but does have a map. There is some chasing, but mostly pretty straight. Lots of HO scenes; the puzzles are clever. 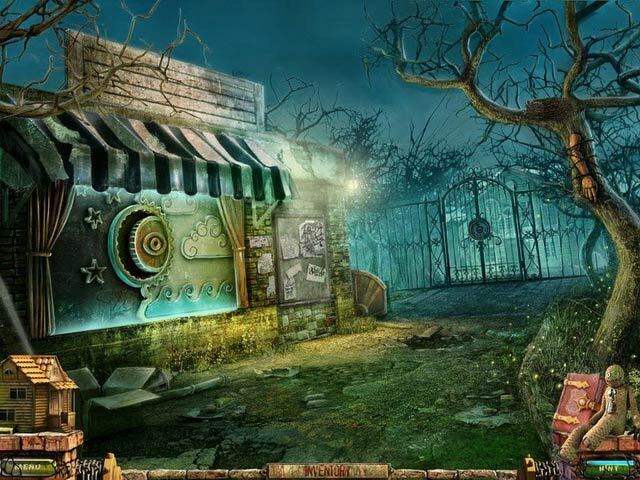 This is a nice game for your free coupon. Rated 5 out of 5 by JordanHB from Should be longer. Only took me an hour. Other than that it was really good. The story was actually interesting which is hard to find. Rated 5 out of 5 by Rkatidid from Crafted by Masters This is the epitome of life! About as fun as it gets and about as deep as it gets. From a psychological perspective, I am virtually sure there is potential healing power by playing this game. I absolutely loved it, and I now NEED to find more just like it. What a wonderful, push of the envelope. This will be the first BF Game which I will play again. And I have bought a lot these past 7 years. Rated 5 out of 5 by Lesley_Alice from Good, creepy fun! This game was so excellent. The visuals were fantastic with things to make you a little creeped out at every turn! It was so fun, I only wish it was a little longer :( KInd of on the short side. But so so worth it - even in the SE you get the "beyond objects" that morph, and you get a helpful map to show you where things can be done. Absolutely one of the best purchases I've made!! Rated 5 out of 5 by AwesumDude from I loved this game. Creepy and a great story line. I couldn't stop playing this game. All of the other review are accurate. It is creepy. The music sets the stage and off you go. I couldn't stop playing it. I finished it the next day. Good graphics. Good story. HOG puzzles are well drawn. Mini puzzles are good. This one is worth the price. Rated 5 out of 5 by sfr8rfan from CLASSIC This review is based on a complete game + the extras of the Collector's Edition. I played it for about 10 hours. I am NOT a fast player. It seemed to me to be of average length. I played it on a Mac platform and experienced no glitches. This is the type of game that defies reviews. How do you review a game released in the Fall of 2011 in the Winter of 2014? You do it VERY CAREFULLY. I hadn't begun playing HOGs when this game was released. I hadn't heard of HOGs when this game was released. I bought it a couple years ago but didn’t play it UNTIL yesterday when I saw the release of Stray Souls: Stolen Memories. I wanted to get a feel for the developer before spending the money on a CE...and what better way than to play a game I already own. Well, in advance I'll say this: if Stolen Memories is anything like Dollhouse Story, it's an instant CLASSIC. I’ll also say this: I regret waiting to play Dollhouse Story. I can only wonder how many times I’d have re-played it by now if I played it when I first bought it. Fun Factor: Are you kidding me? YES. Visual/Sound Quality: Abso-*****-star-Lutely YES. Visuals: Instantly I felt scared. I felt like I was someplace I didn't belong and I was not safe. This is the power of visuals. One character, a clown, was drawn with such feeling and emotion that it evoked FEAR and discomfort in me. This clown exhibited evil and treachery perfectly. The expressions on the clown's face were priceless. And incomparable. The treachery that I just wrote means that the clown pulled off pleading and "trust me" just as well as evil. The rest of the story made me feel like I was in the middle of a horror flick. This is what I call "set design." It is unmatched in brilliance, IMO and that it's a few years old only underscores the level of quality of this game. It has withstood the test of time. Sounds: Again *****. Wicked music throughout. This is not a bright and cheery story. Even as it's ending you feel as though you've MAYBE just escaped in the nick of time. If you feel relief you still don't feel safe, even as you speed away. If you saw the movie Cloverfield, you'll know exactly the emotion I'm referring to. That's what the music does. I think music can drive a good game as much as anything else. Now, combine the visuals with the music and you've increased the fear factor logarithmically. Ladies and Gentlemen, may I introduce you to The Dollhouse Story? One note of import: Owing to its age, this game does not have Voice-overs (let alone lip-synching). You'll see a character and read his lines. This didn't bother me at all. NOT. ONE. BIT. Level of Challenge: I gave this 5 stars but it is asterisked. My chief complaint about an otherwise great game is usually that there are too many HOGs and not enough mini-games. That would be my complaint here if the quality of the HOG weren't as high as it is. There are 20 HOGs and maybe 5 simple mini-games. The HOGs were brilliantly executed. The mini-games...well, frankly, I'm only remembering one right now. The mini-games did not move me. Doesn't matter. The overall game is that good. Storyline: As a child your husband was lost/kidnaped and his good and bad natures were divided into two separate people. Your sister-in-law has been brainwashed but still finds the inner strength to get information to you that helps you on your path to find your husband. Evil clown tricks you. You roam the halls of orphanage. It's all creepy. It’s an intricate story line. I'm sure even these few details I have are not spot on...but it's enough, I hope, to communicate just a little of what's going on. You need to play the game to figure out the rest. You will be happy you discovered this game by playing it, not by reading about it. So, then, how can this review be helpful to you? I'm going to share just a few observations: 1. This is an ADVENTURE much more than an HOG and certainly much much more than a PUZZLE GAME. If you go into the experience with this knowledge you will not feel mislead. It is not about the games. It's about the story and the ambience which completely envelopes you. 2. Here’s what you get with the SE (because it’s an older game) that by today’s standards you might expect to be in the CE but not the SE: a. “Beyond” Objects: 36 morphing items that are not related to the story but enhance game play. b. Map, including sites visited and the locations of HOGs. c. OK, this is a stretch, but: an un-integrated strategy guide. That means, go to the BFG site, click on game walkthroughs and seek out Stray Souls: Dollhouse. There’s your strategy guide. 3. When I first started buying games I always chose the CE version if it were available. I do not auto-default to that anymore. I try to make an informed decision. That said, here’s what you get with the CE: a. A more (not completely) integrated strategy guide. b. A VERY SUBSTANTIAL Bonus Chapter which is a prequel scene including 10 HOGs. 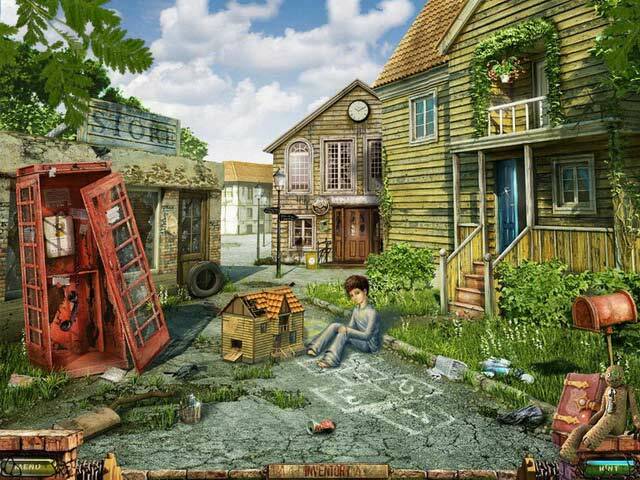 c. Who cares: Wallpapers, Concept Art d. Deleted Scenes (admittedly nice feature I’ve not encountered before.) What all this means is: YOU CAN’T LOSE. If you have the money or the game credits, get the CE. If you don’t have the money or the game credits, get the SE and you’ll be completely and utterly satisfied. Just get something.